« 2009 Crop Circle season has begun! This entry was posted on Friday, May 1st, 2009 at 11:34 pm	and is filed under Crop circle updates, Crop circles general. You can follow any responses to this entry through the RSS 2.0 feed. You can leave a response, or trackback from your own site. 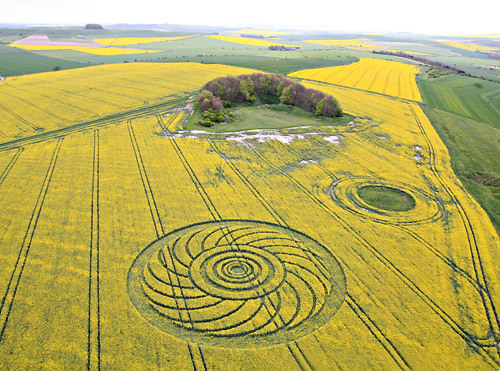 Охранник This formation appeared at Roundway Hll near Devizes, Wiltshire…..